We know the Mac App Store is launching tomorrow, on January 6. 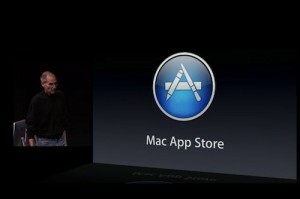 We also know that Mac OS X 10.6.6 will be required to use the Mac App Store. Jim Dalrymple over at The Loop, however, confirms that according to his sources (and when Jim says “my sources tell me” he always means “someone at Apple told me”) the Mac App Store is launching tomorrow at 12 PM ET, 9 AM Cupertino time. According to my sources, the Mac App Store will be available at 12:00 pm (noon) ET on Thursday. That puts it at about 9:00 am PT where Apple is headquartered in Cupertino, Calif. Discovery will be a big focus of the Mac App Store as Apple aims to make it easier for new users to quickly find and install new software. You will be able to browse new and noteworthy apps, find out what’s hot, view staff favorites, search categories and read customer ratings and reviews, according to Apple. So folks load up your Visa, American Express,Master,Masterio cards and get ready for some cool App purchases for tomorrow.